My mind is blown. It’s been more than 30 years since I’ve heard this song, and I still remember the melody and most of the lyrics. The show itself is coming back to me as I write this: three young musicians take off on a roller coaster rocket ship to hang out with their alien friends on a giant asteroid. There’s lots of singing, animated sequences, life lessons learned. 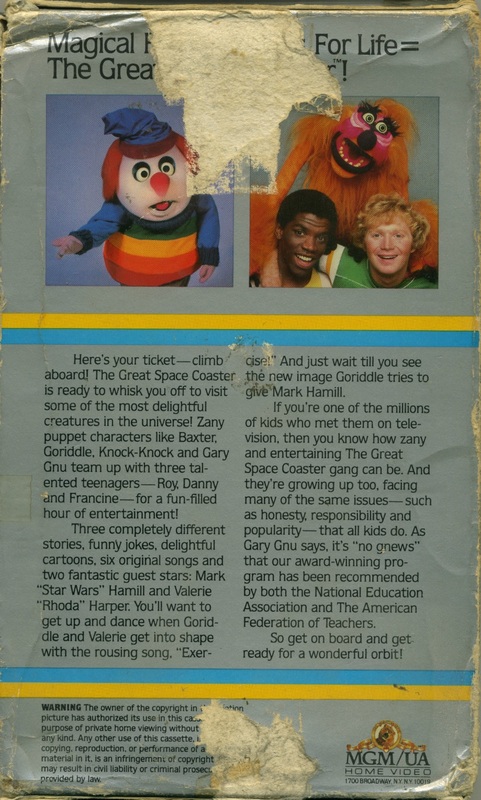 The Great Space Coaster is not available on DVD, and won’t be any time soon, if it ever is. According to Tanslin Media, owner of the master tapes: “The problem is that the show used a lot of great music that would need to be re-licensed if the show were ever released. This is extremely expensive, so a DVD release would probably cost more to make than it would ever earn.” Tragically, the tapes are already deteriorating. In 2012, GSC co-creator Jim Martin, who also played a number of characters (including Gary “no gnews is good gnews” Gnu), launched a campaign to preserve at least one half-hour show. His goal was $2000. He raised $3500. Follow The Great Space Coaster Facebook page for updates. 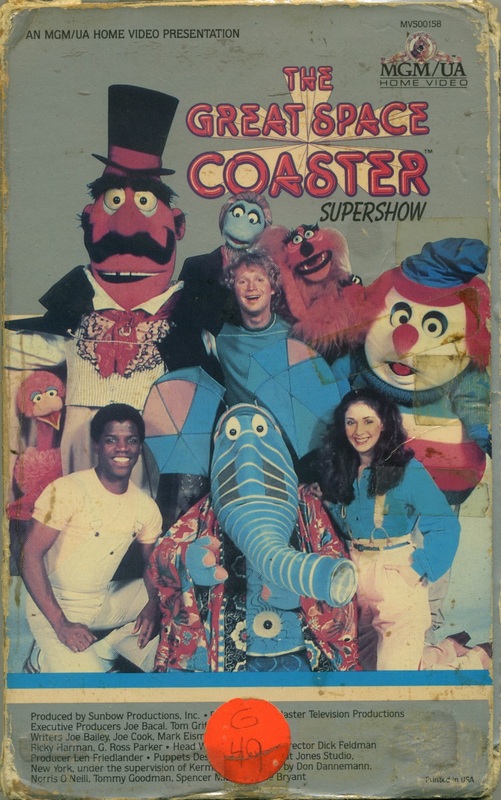 The video below is from the 1981 one-hour special, The Great Space Coaster Supershow. Check in at 11:00 to see Goriddle Gorilla (Kevin Clash) with special guest Mark Hamill. The possibility of losing something this priceless makes me sick to my stomach.